This is an open education platform created by youth and for youth, an interactive resource with the possibility to constantly add new materials – articles, photos, videos. 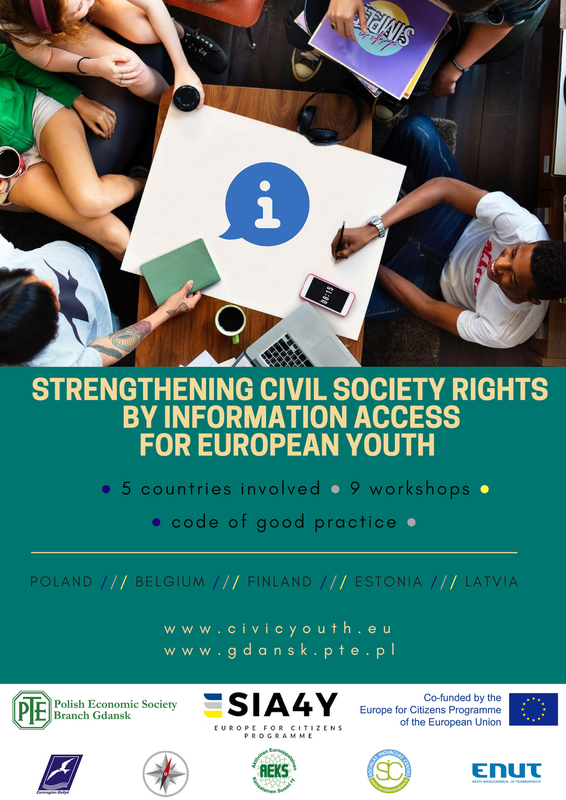 It will also serve as the main website for the “Strengthening civil society rights by information access for European youth” SIA4Y project presenting events & reports from the debates. This is easy – engage with your own articles, photos or videos now by submitting them here. Behind this platform, there are two projects – originally “Social capital development as a tool for youth civic participation in Eastern European countries” (SOCAP) that ended in 2017 and the newest project – “Strengthening civil society rights by information access for European youth” (SIA4Y) that started in December 2018. Please read more about the SIA4Y project here! Contact us! Join our Facebook group! WHO IS FINANCING THIS PLATFORM? This platform is being developed in terms of “Social capital development as a tool for youth civic participation in Eastern European countries” and “Strengthening civil society rights by information access for European youth” both financed in terms of EU programme “Europe for citizens” (2014 – 2020). THE CONTEST HAS CONCLUDED AND THE RESULTS ARE AVAILABLE HERE.